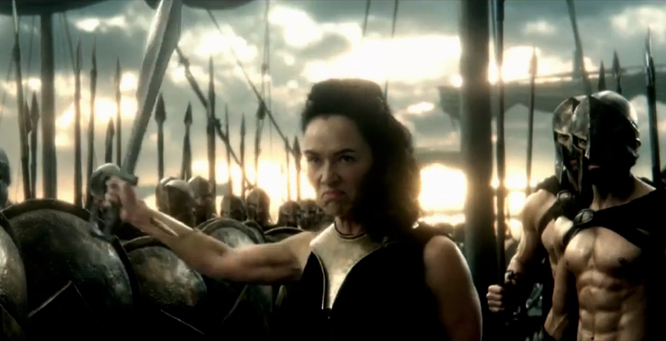 In Defense of Gorgo, Queen of Sparta | Histastrophe! In 2016, when Civilization 6 was announcing leaders that would be present in the game, there was a vocal uproar from the video game community over the selection of Gorgo as a leader of Sparta/the Greek civilization. And though she was accompanied with other Greek historical darling Pericles, her announcement was met with anger for being chosen over her husband Leoniades and for, well, being a woman. While that particular complaint has arisen, transparently, along with any female leader announced for the game (I see you, haters), I’d like to offer a polite reminder that though a large portion of boys suffering from an inferiority complex (and who’ve been collectively creaming themselves over Leoniades’ painted abdomen since the release of 300 in 2006) might be remiss in knowing, Queen Gorgo of Sparta was a badass in her own right too, k thx. It’s no surprise that the Spartans have a particular sheen of cultural mythos surrounding them, holding a torch of fascination since pretty much the inception of obsessive interest. 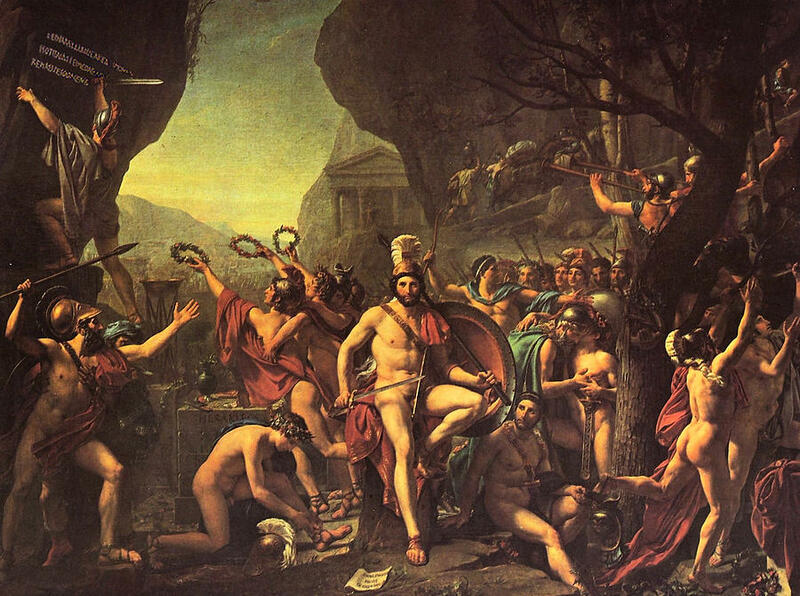 Laconophilia, love/admiration of Sparta, began as a cultural phenomenon as far back as the Persian Wars–when Spartans were still readily punting dignitaries–and carried on through much of history, re-surging along with other movements of Classical reclamation as during the Renaissance (or through the assholery of Heinrich Schliemann). And much of that famous Spartan toughness comes from their culture of Exemplum, a concept I do have plans to cover while on my Greek kick. (Yes, I do actually have an outline/plan for posts, don’t quote me on this). Keeping all this in mind, Gorgo of Sparta emerged in the annals of western history (one in which, at this time primarily written by Greek scholars, tended to exclude women) as a legendary figure who exemplified the sassy rough-edges of the perfect Spartan and fostered intrigue amongst their frenemy Athens. Father, the stranger will corrupt you, unless you leave him and go away. The words of his young daughter instantly snapped him out of it, and Cleomenes I urged Aristagorus out of the room. It might seem unusual for a King to take advice from his daughter who was old enough to count on both hands, but THIS was Gorgo of Sparta. In fact, there seems to be a series of notable exchanges from her father’s court, where Gorgo is quoted with all kinds of biting quips. Recorded by Plutarch, one of the more hilarious ones was in response to a man dressed in soft robes who tried to make a pass at her to which she responded: “You call that a pass? You couldn’t even pass for a woman.”  Ouch. Instead, she would eventually marry her half-uncle Leoniades I (Paging History is Incessantly Incesty) who also wasn’t really that great at passes either. (This is a Thermopylae joke, get it? Get it?!) Being the only (and female) child of her father King Cleomenes I, after his death the throne passed to Leoniades I making Gorgo queen by proxy. Marry a brave man and bear strapping children. Many scholars have noted the significance in Leoniades I saying ‘children’ rather than ‘sons’. For it seems he truly valued his wife and her stature despite being a woman. Gorgo had one son by Leoniades I, Pleistarchus, who was much too young to take over after his father was eviscerated by Xerxes I who was probably taking out some misplaced anger on Leoniades I after dealing with that sass stream The Hellespont. Both he and his mother Gorgo fade from the history pages after the Battle of Thermopylae. A few regents ruled Sparta until Pleistarchus was able to take over, nothing notable having occurred during his reign. So when it comes to playing as a leader in a video game ruling the civilization of Sparta? Gorgo has more than shown her worth in exemplum. And if anyone disagrees, you can come at me. PLUTARCH, and A.E. Stallings. “Laconic Women.” Poetry, vol. 198, no. 4, 2011, pp. 390–396. JSTOR, JSTOR, www.jstor.org/stable/23046106.